Cognitive Behavioural Therapists from the Statewide Gambling Therapy Service, based at Flinders Medical Centre, began working working prisoners in the Adelaide Pre-Release Centre, Adelaide Women’s Prison and Mobilong prisons and the Cadell Training Centre in November following a grant from the Department of Correctional Services. Under the arrangement, staff provide exposure therapy to prisoners with gambling problems prior to their release from jail, and then provided further follow up support and treatment when they are back in the community. Cognitive Behavioural Therapist Ben Riley carried out a survey at the Cadell Training Centre in 2011 which found 52 percent of prisoners had a history of problem gambling, with one in five inmates reporting they were in jail because of a crime related to a gambling problem. “It is perhaps the case that some commited crimes like selling drugs or theft because of their gambling debts,” Ben said. Statewide Gambling Therapy Service have been funded for the last 5 years to improve access to gambling help services for Aboriginal and Culturally and Linguistically Diverse groups. Harvey PW, Humeniuk R, Smith D. Longitudinal outcomes for clients treated for problematic gambling through the Statewide Gambling Therapy Service (SGTS) in South Australia, July 2010-December 2012. 15th International Conference on Gambling & Risk Taking; Las Vegas 2013. Harvey PW, Smith D. Outcomes of a Randomised Controlled Trial of the application of cognitive and behaviour therapies for problematic gambling: implications for the Statewide Gambling Therapy Service treatment model. In: Remmers P, editor. 10th European Conference on Gambling Studies and Policy Issues; September; Helsinki: European Association for the Study of Gambling (EASG); 2014. Harvey PW, Chong A. The development of the Australian Indigenous Problem Gambling Index: modifying the Canadian Problem Gambling Severity Index to suit Australian Aboriginal communities. 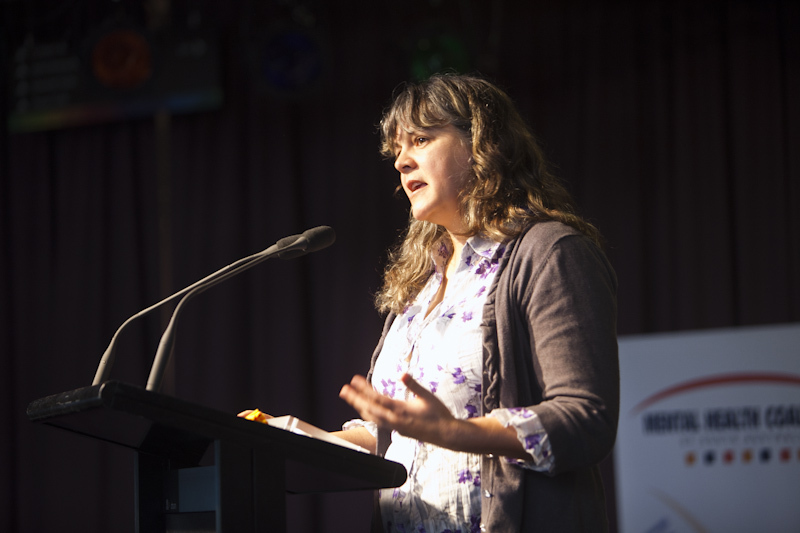 Breaking barriers in Indigenous research and thinking; Canberra: AIATSIS; 2014. Smith D, Harvey PW. Cognitive versus exposure therapy for problem gambling: a single-centre, randomised controlled trial In: Remmers P, editor. 10th European Conference on Gambling Studies and Policy Issues; September; Helsinki: European Association for the Study of Gambling (EASG); 2014. Bertossa S, Harvey PW. Gambling addiction – measuring the impact on Indigenous Australians. 7th World Conference on the Promotion of Mental Health and the Prevention of Mental and Behavioural Disorders; Oct 17th-19th; Perth2012. Bertossa S, Wurm C. The place of culture and worldview – preventing complications of gambling, alcohol and other addictive behaviours. 7th World Conference on Promotion of Mental Health and prevention of Mental and Behavioural Disorders; Perth2012. Harvey PW. The gambling treatment uncertainty principle. EASG; Loutraki, Greece (Sept)2012. Harvey PW. The complex phenomenon of disordered gambling: emerging approaches to diagnosis and treatment in rural communities. 4th Australian Rural and Remote Mental Health Symposium; 19-21 Nov; Adelaide2012. Harvey PW, Morefield K, Walker C, Dunn K, Smith D, Battersby MW. An in-patient treatment programme for people with gambling disorders. Asia Pacific Association for the Study of Gambling (APASG) Conference; Macau: APASG; 2012. Bertossa S, Sleep J, Pompey J, Harvey PW. 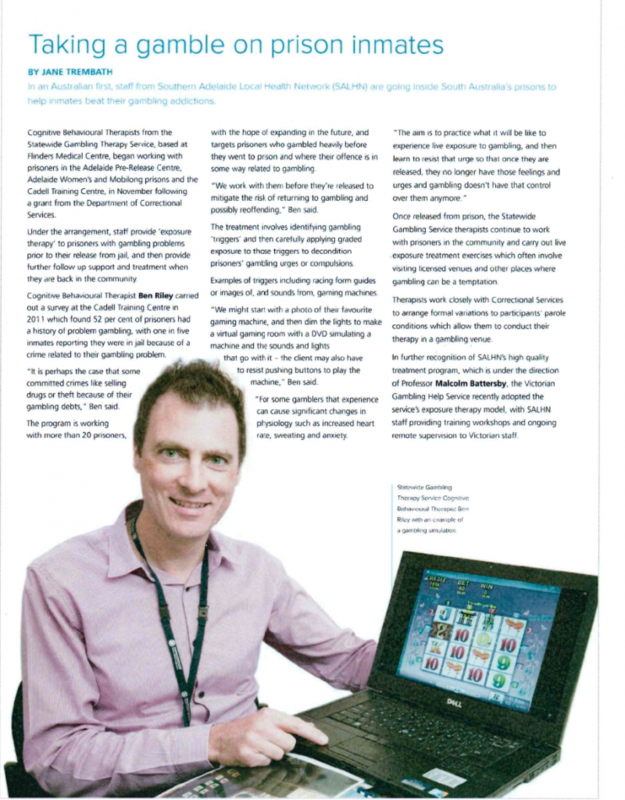 Delivering gambling therapy to a rural Indigenous community: a collaborative initiative. 4th Australian Rural and Remote Mental Health Symposium; Adelaide. Adelaide2012.